Design and production of implants and instruments for orthopedics and traumatology, medical components, prototype development. 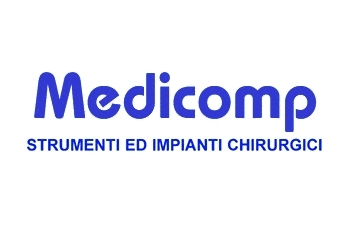 Medicomp S.r.l. started his business in manufacturing surgical instruments and implants for traumatology and orthopedics in 2003 having already many experiences in manufacturing using special alloys like TITANIUM and STAINLESS STEEL. The Medicomp facility is composed of several departments: · Technical department (CAD/CAM , SOLIDWORKS, MASTERCAM)· Production department (4 machining center 4/5 axis, CNC lathe, manual mill/lathe)· Finishing department (manual finishing, electro-polishing, sand blasting, tumbling)· Final control department (measuring instruments)· Administrative department (quality assurance, quality management, accounting, and administration). Thanks to its simple and dynamic structure and a specific knowledge in the field, Medicomp is able to comply quickly, the demands and needs of its customers by providing high quality products. The System Management of Medicomp is certified according to UNI EN ISO 13485:2004, by CERTIQUALITY Institute. Medicomp is determined to maintain and improve the capacity of its structure to provide products at the highest level of quality in the provision / service / price demanded by the customer.